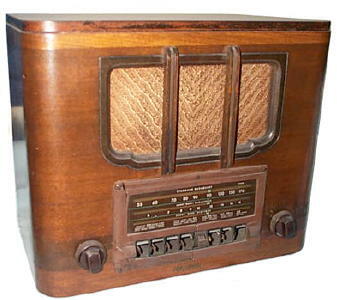 The RCA was my fourth radio and came from the same antique store in Indiana where the Arvin 182-TFM was found. The RCA had a huge paper cylinder that held all the filter capacitors that had to be replaced. Missing pushbuttons are typical on this model as they tend to crumble away.